Purchase includes modern performing edition, score and 8 parts. 8 celli. Heinrich Schaeffer (1808-1874) lived in Hamburg and Magdeburg. Beside chamber music and music for orchestra he wrote mainly choral music. Above all, his name lives on in one single composition: the still popular character piece “Die Post im Walde”. Parts range from easy to difficult, as the lower parts remain in bass clef and the celli 1 and 2 climb up into treble clef. Excellent for performance by a group of cellists with varying abilities. 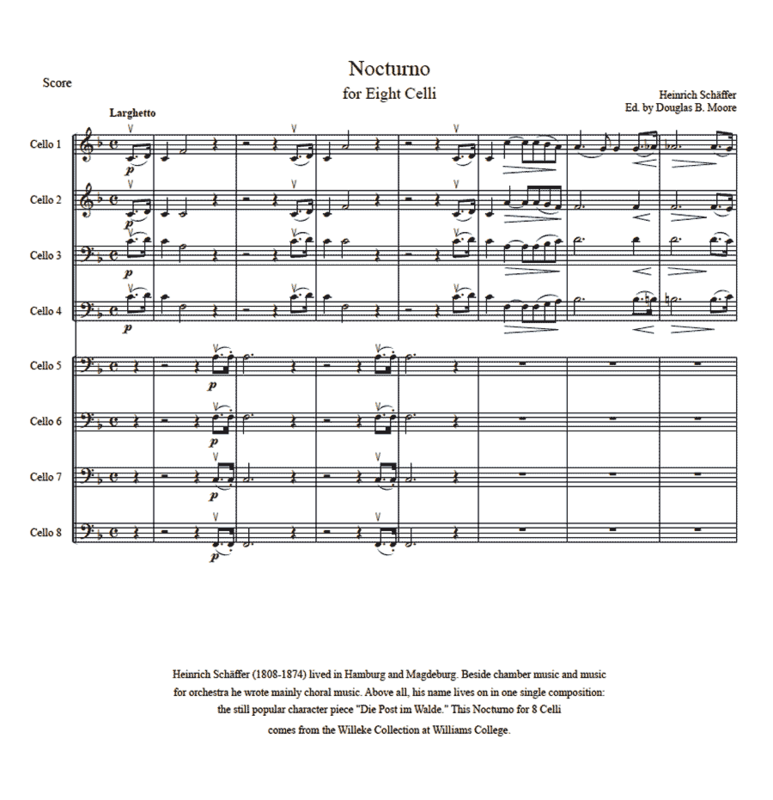 Score and 8 parts.